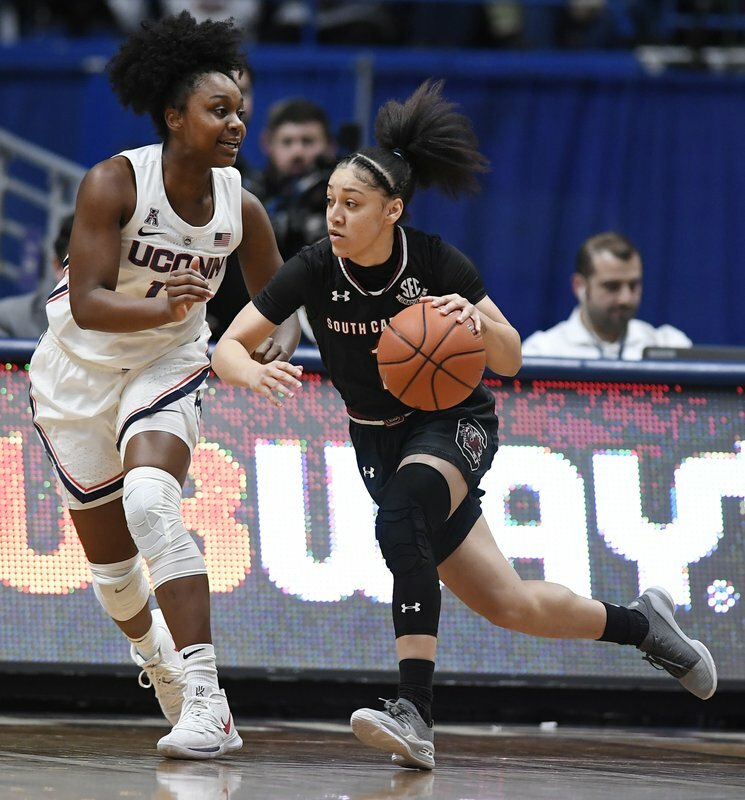 Napheesa Collier and UConn used a strong second half to turn their final nonconference game into a rout. Samuelson has broken out of a three-game shooting slump at the end of January. She’s made 25 of 39 shots from the field the in past three games. The victory was the 89th straight at home for the Huskies. 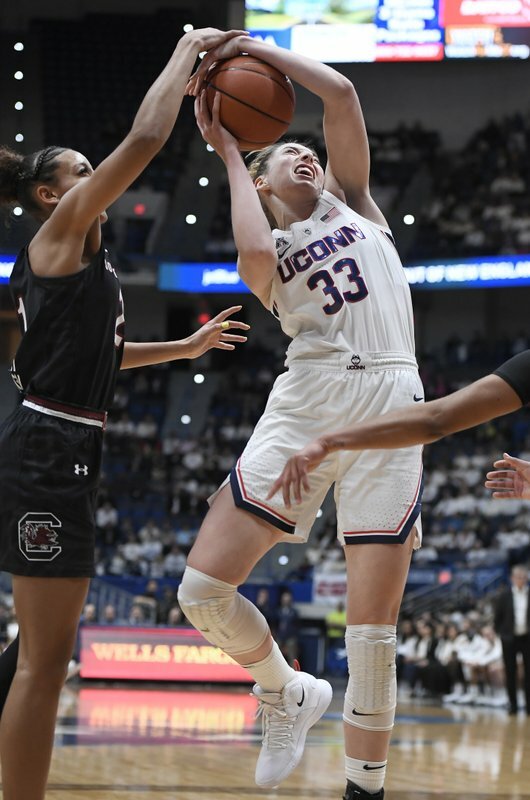 That’s the second-longest winning streak in NCAA history, trailing only UConn’s school-record 99-game run. 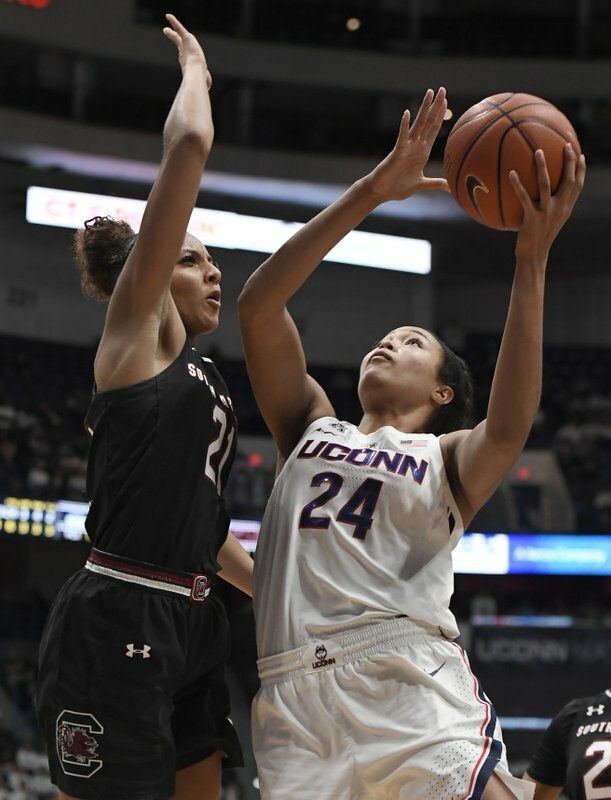 The Huskies’ last regular-season loss at the XL Center, where the game was played Monday night, was on Feb. 18, 2013, against No. 1 Baylor. They lost to Notre Dame there in the Big East tournament final that same season. 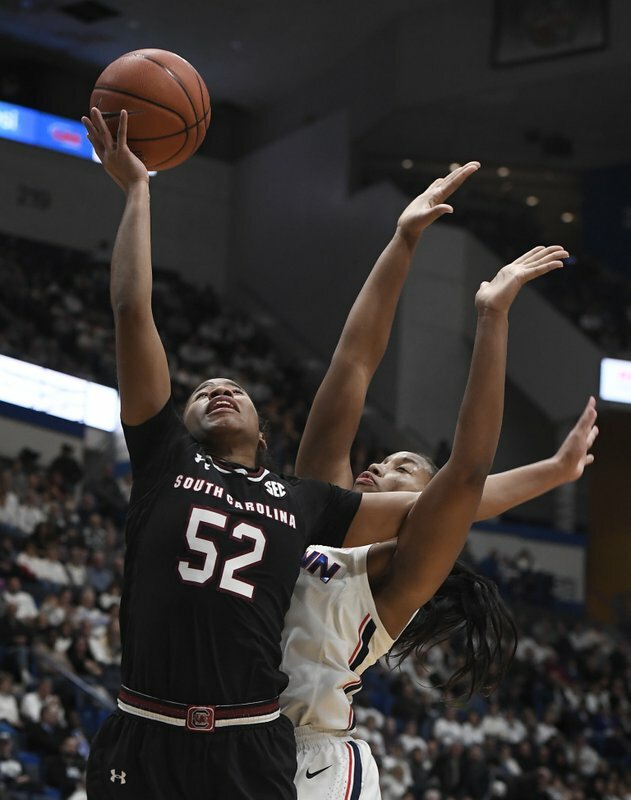 Bianca Cuevas-Moore scored 25 points and Te’a Cooper had 20 to lead South Carolina (17-6), which had won 13 of its past 14 games. 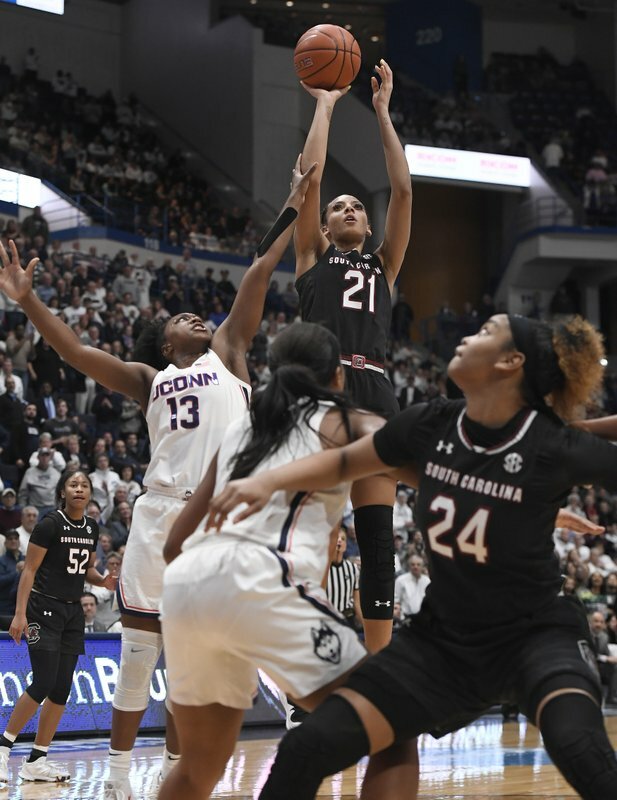 UConn continued its 16-5 burst to start the second quarter and took its first lead of the game on Crystal Dangerfield’s 3-pointer. The teams traded the lead for the rest of the half with the Huskies ahead 44-43 at the break. Collier had 15 points and eight rebounds at the half. 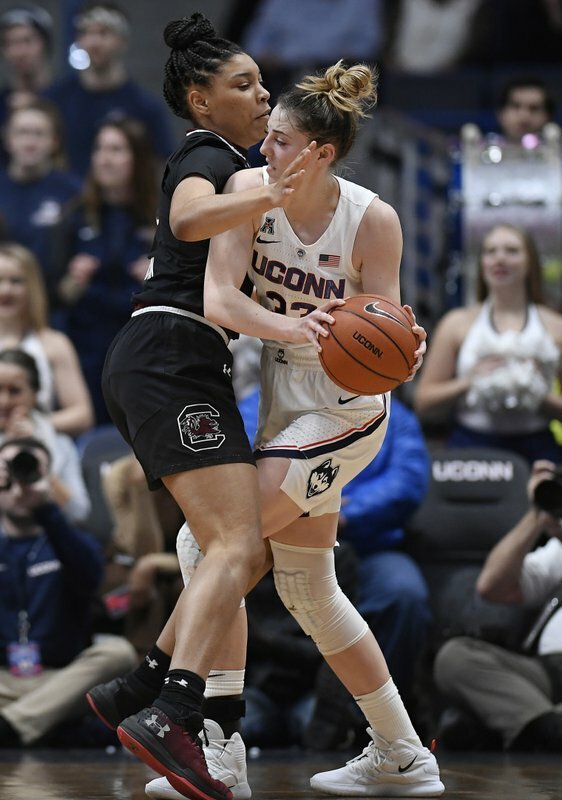 The Huskies didn’t go to the bench until 1:48 into the third quarter, when Olivia Nelson-Ododa came in for Megan Walker. This was the Huskies’ third game in six days. 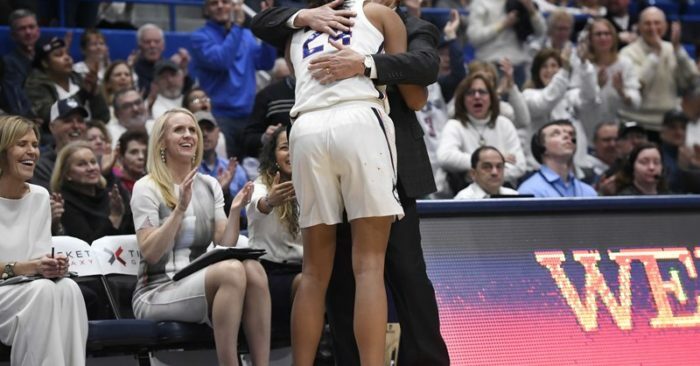 The NCAA selection committee unveiled the potential top 16 seeds for the women’s tournament on Monday night. If the season was over, the Huskies would be a No. 2 seed in the Albany Region. 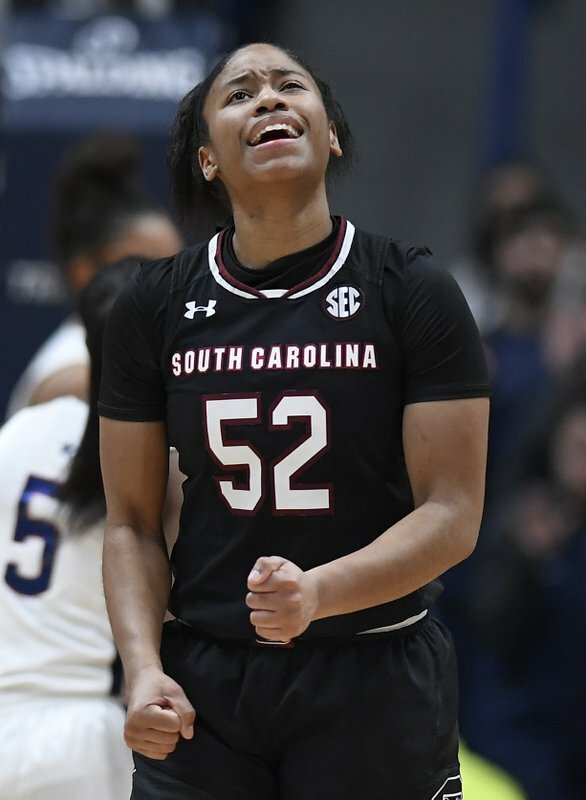 South Carolina would be a four-seed in Greensboro. 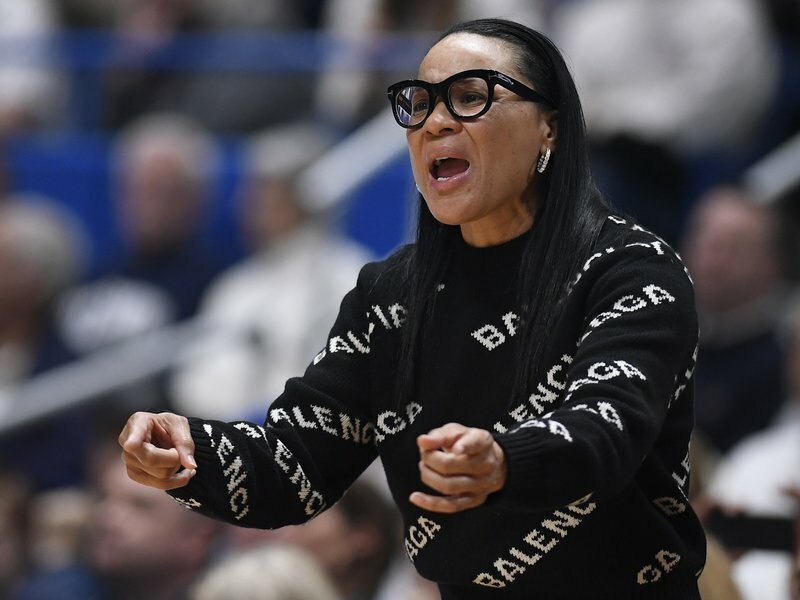 WNBA players Sue Bird (UConn) and A’ja Wilson (South Carolina) provided commentary for an alternate “smack talk” broadcast to the game on ESPN3. 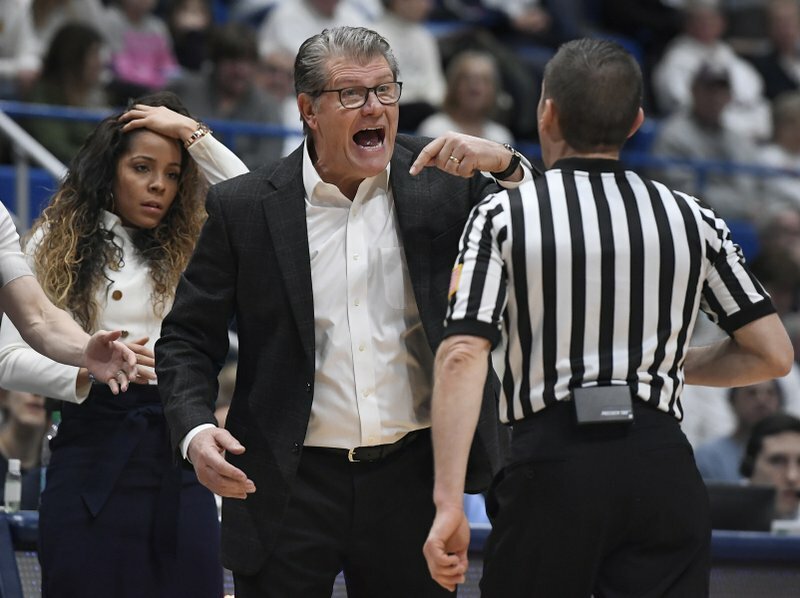 During the third quarter, Bird went over to the UConn huddle to listen in on Auriemma’s comments with the Huskies up by 10.